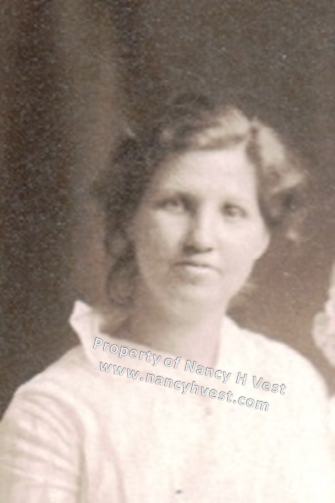 When my grandparents, Joel Daniel MARTIN and Florrie THOMAS MARTIN, left South Carolina for Virginia in the mid 1920’s, they didn’t take much with them. There wasn’t much room in their vehicle after loading up themselves and five children! One thing my grandma did bring was a Christmas cactus. Was it a cutting from a plant belonging to someone dear to her? Was it her own plant? I don’t know, but I know it was important enough to her that she cared for it during that trip and beyond. Grandma lived with my family when I was growing up. 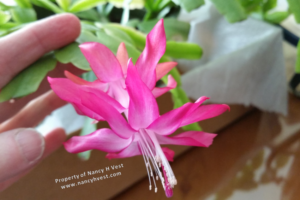 Her Christmas cactus was always there. Below is a photo of it from the 1960’s. When Grandma passed away in 1979 her cactus went home with my Uncle Bobby and his wife, Dot. They took good care of the cactus for many years until Uncle Bobby offered it to my sister who gladly took it. My sister cared for it for many years, too, but it died as plants eventually do. Children and grandchildren of my grandma had taken cuttings off her cactus for years, and grew their own cactus plants. All of those plants died except for the one grown by my cousin, Chet, and his wife, Carolyn. In August 2014 I had the opportunity to visit Chet and Carolyn, who live in another state. They kindly let me take a few cuttings from their Christmas cactus. I was determined to keep it alive. I can be a plant killer, so this was a challenge. I’m happy to say that my cuttings have grown into a large plant, and it has blooms for the first time this year. It’s like my grandma is visiting me for Christmas. Your story touched my heart. My grandmother had a green thumb; mine is closer to black. A former neighbor of ours has a yucca plant that grandma gave her about 40 years ago and which has been moved several times. The house that the neighbor originally lived in burned about 15 years ago and it has taken her this long to afford to rebuild. The yucca plant is finally going home to the yard that it was planted in so many years ago. I am so glad you have a “Grandma Cactus. I have my Grandmothers also. When I was little she would tell me to look at the flower and I would see Baby Jesus lying in the manger..I always remembered that at Christmas time. She died in 1989 and I asked for the Cactus of all the things I could have had.. It blooms every year, and “Granny” is always present here in the blooms. The main stalk is over 3 inches wide. I have transplanted two different planting in case “Granny” decides to leave us.. She is my prized possession. I am 76 years old, so I know the plant is at least that age. love this. 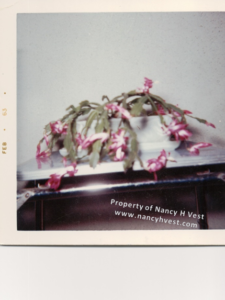 I took a cutting from a friends Christmas Cactus in 1965 – it is huge and has sent many cuttings to friends and families throughout the years. My husband is so attached to this cactus that he has left it to one of our children in his will! I didn’t even think about willing it to one of my children. I will need to add that! I will probably have to grow a second one so both of my daughters can have one. I’m glad my story sparked memories for you. 🙂 Thanks for commenting. 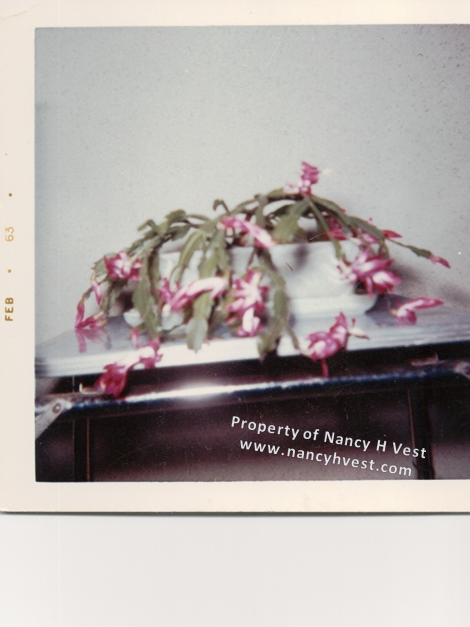 I too have a very old Christmas cactus that was my great- great grandmother’s . Well over one hundred years. But something is wrong with the photo in the original article. That is not the same plant as the second photo. Check the flowers. I’ll take a closer look at them. Thank you!